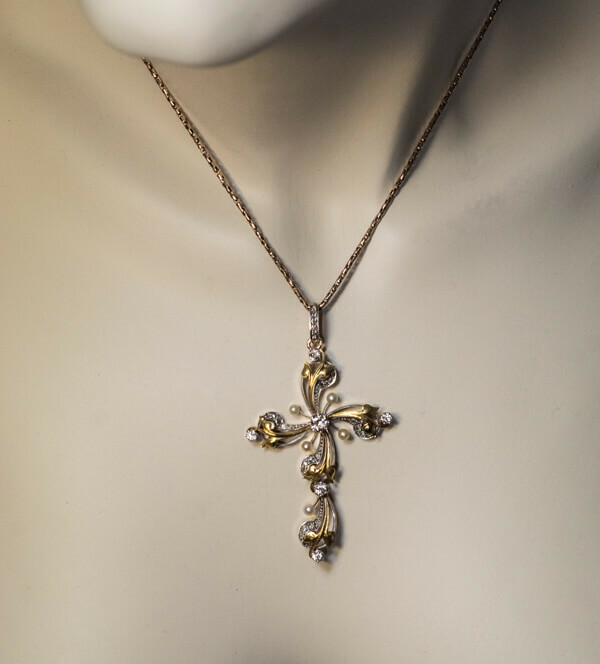 This ornate Art Nouveau floral-motif cross pendant is certainly one-of-a-kind. 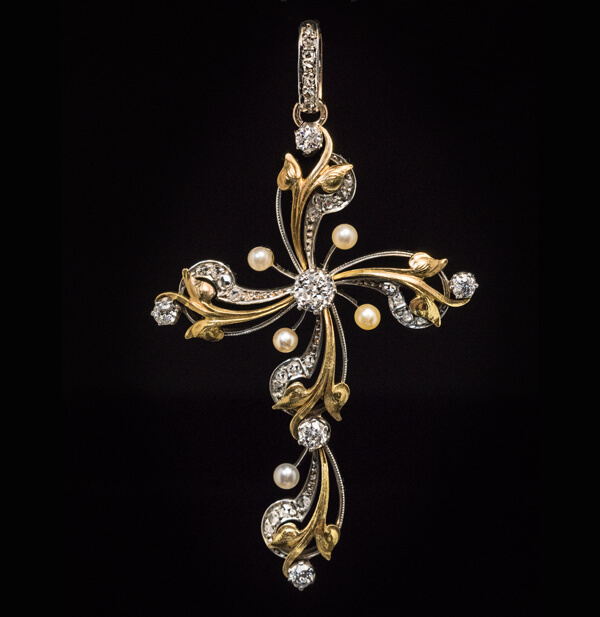 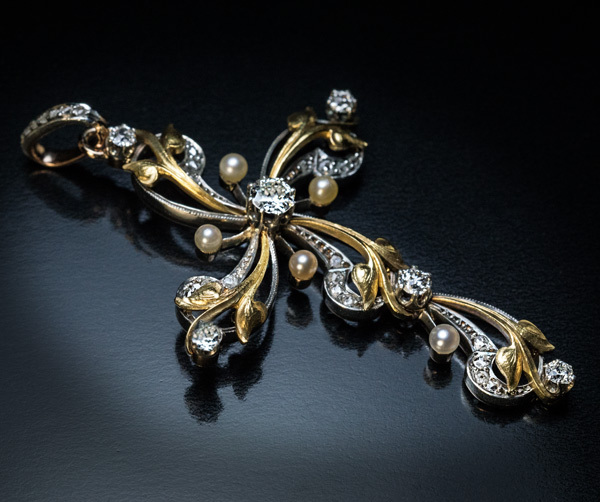 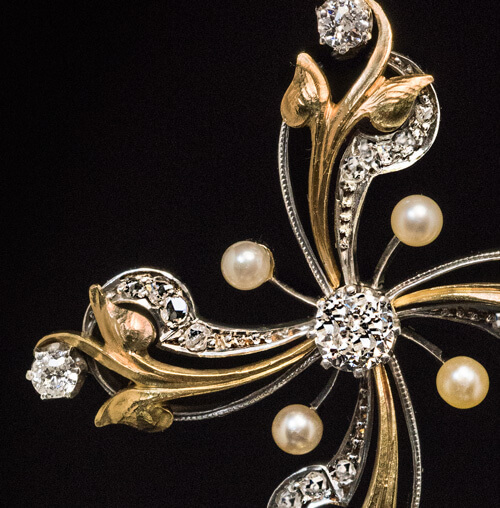 The pendant is handcrafted in 14K gold and silver and embellished with six sparkling old European cut diamonds, five seed pearls and numerous small old rose cut diamonds. 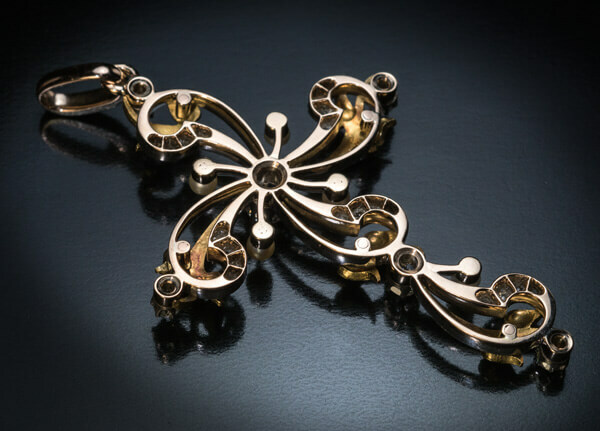 Excellent craftsmanship and unique design.